The CFEI wishes you a productive and successful Spring 2017 semester! 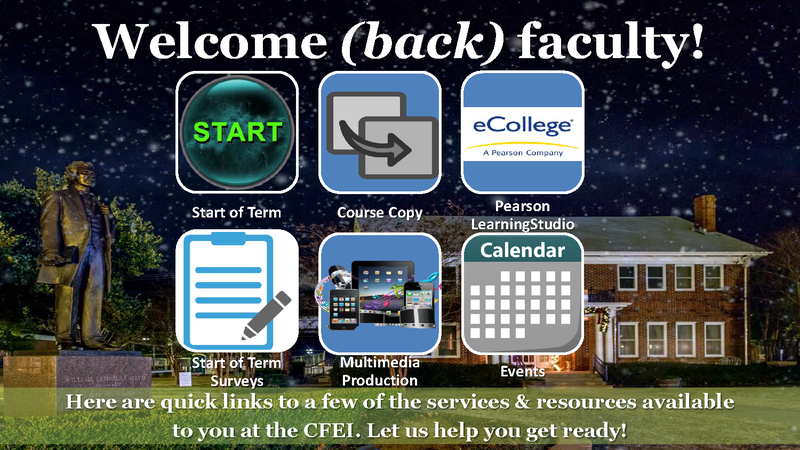 To help you, the attached PDF document highlights important start-of-term CFEI services and resources. Click on the icons to direct you to the appropriate services and resources. Also, please don’t hesitate to contact the CFEI with your teaching, scholarship, and service needs.